Finally settling into a peaceful life after more than a decade on the deadly front lines of the war on terror, Ryan Kealey believes he's put danger behind him - and some of his demons to rest. But his calm is shattered when he's swept into a highly organized and merciless terror attack during a charity gala in downtown Baltimore. Dozens are dead and critically injured, including the wife of CIA Deputy Director John Harper, whose investigation of the ambush is hampered by suspicion that one or more intelligence agencies has been compromised. With normal channels obstructed, Harper turns to Kealey, the one man with the resources, expertise - and freedom from government interference - to pursue the awful truth. Following a string of secrets and violence, Kealey blazes a trail from the confines of the innermost chambers of government and big business to the dimmest reaches of the human psyche, forced to match wits with a new nemesis aided by new allies, each with his or her own agenda. Slowly, Kealey unspools an unimaginable conspiracy that suggests America may in fact be its own worst enemy. 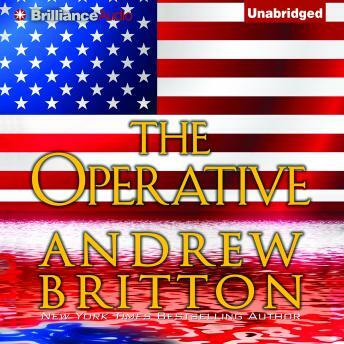 With page after page of unrelenting action and explosive revelations, The Operative blends political deception and global intrigue at their highest levels with covert psychological manipulations at their deepest and most devastating.